Ceremony Officiant Long Beach in the News! Wedding Officiant Guy was in the Long Beach Press Telegram as he married a couple at the top of Signal Hill. 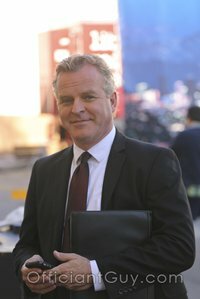 Officiant Guy, Chris, is a very popular wedding officiant often found all over Los Angeles county marrying couples in every location. He made the cover of the Long Beach Press Telegram in January 2010. 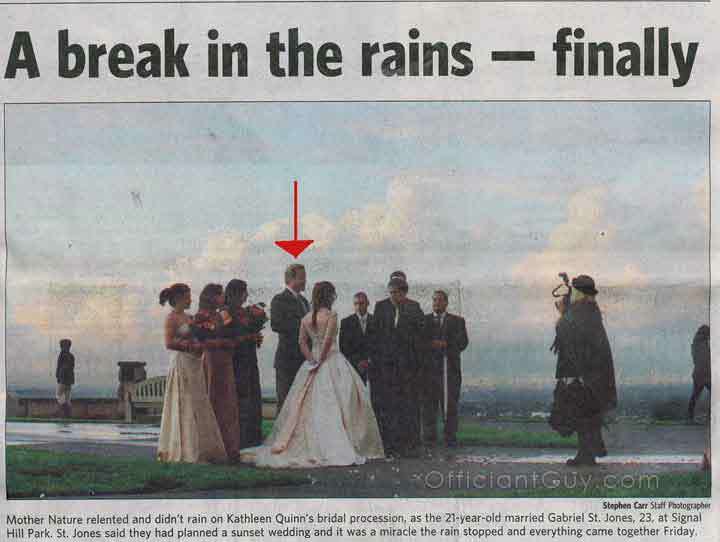 Mother Nature relented and didn’t rain on Kathleen Quinn’s bridal procession, as the 21-year-old married Gabriel St. Jones, 23, at Signal Hill Park. St. Jones said they had planned a sunset wedding and it was a miracle the rain stopped and everything came together Friday. The ceremony officiant marrying the couple is Officiant Guy, Chris Robinson. If you wish to get married in Southern CA give the most popular ceremony officiant in LA County or Orange County a phone call at (310) 882-5039 or (562) 547-3255 or fill out the contact form. 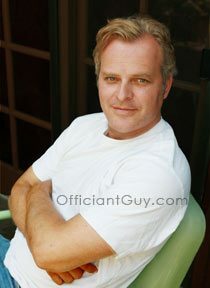 Chris Robinson, the Officiant Guy, is a California wedding minister. He has been helping couples marry and issuing California confidential marriage licenses for over 20 years.